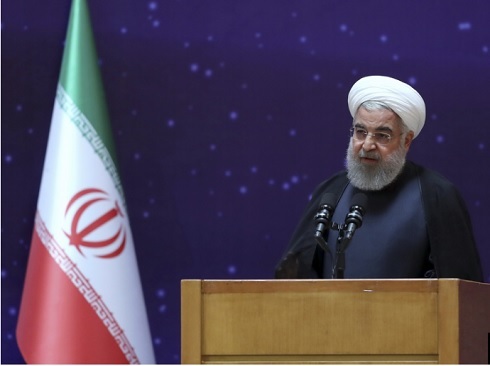 On Friday, Iran responded to the speech Israeli Prime Minister Benyamin Netanyahu gave during the annual General Assembly of the United Nations in New York City in which he revealed Iran has another never disclosed nuclear site in its capital Tehran. Netanyahu said a secret nuclear warehouse inside Tehran contained 300 tons of nuclear-related material and demanded the International Atomic Energy Agency (IAEA) immediately examined the evidence Israel has in its possession. The Israeli PM also said Iran had recently spread 15 kilograms of radioactive material around Tehran last month in an effort to hide its activities in the facility. When Israel shared this information with the IAEA recently the nuclear watchdog did nothing according to an unnamed Israel official who spoke with TV Channel 10 in the country. The Mossad, Israel’s Spy Agency, knows exactly what is stored in the facility the official said just like it knew what was in the secret nuclear archive in Tehran where Israel stole Iran’s nuclear secrets on January 31 this year. Iran now says Netanyahu’s claims were “baseless and ridiculous” according to Bahran Qassemi, the spokesman of the Iranian Foreign Ministry. Javad Zariff, Iran’s Foreign Minister called Netanyahu’s presentation at the UNGA “an arts and craft show” meant to obfuscate Israel has his own secret nuclear secret and undeclared actual atomic arsenal a reference to what Israel calls its life insurance. Israel’s estimated sixty-five to eighty-five warheads, according to a Rand Corporation study are meant as the ultimate defensive weapon in case the country is threatened with annihilation, however.